American medicine is based on the “medical model”: when you get sick, you go to the doctor and it is the doctor’s responsibility to find out what is wrong with you and give you the right medicine to make the problem go away. This simplistic approach was birthed in the first half of the twentieth century when infections were the most common medical problems. The discovery of penicillin allowed doctors to give a “magic pill” that cured infections such as pneumonia. At that moment the drug industry was born as well as the “medical model” of care and both are thriving to this day. Drugs do not cure these problems; they most often only reduce the symptoms and must be taken for a long time, often indefinitely and often with side-effects.The medical model of healthcare costs us 1.4 trillion dollars annually, which is 14% of our current overall budget. This amount is expected to double in the next 8 years to 3 trillion dollars. In spite of this enormous expense, the United States ranks 12th out of 13 industrial nations recently compared using 16 health indicators, such as life expectancy and age-adjusted mortality. The total is 225,000 people dying each year from modern medical practice. 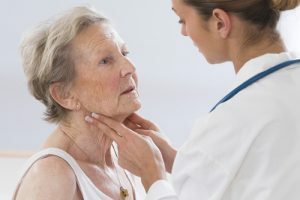 Iatrogenic disease is the scientific term used for “doctor caused” health problems. The American medical system is sick. Complex chronic illnesses cannot be properly treated with 10 minute office visits and expensive symptomatic medications. 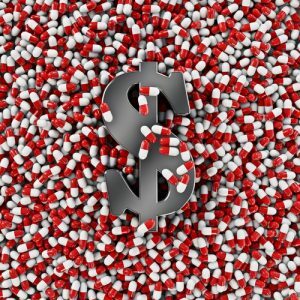 The drug industry has undue influence in basic research and doctor prescribing patterns, while federal and state regulators too often succumb to the powerful directives of big business. There is hope however. The American people are increasingly realizing that complimentary and alternative medicine (CAM) provides good results. I have learned in my 30 years of medical practice that the best treatment for disease is the promotion of health using the principles of mindbody healing. People improve with any medical diagnosis if you assist them in restoring the natural wisdom of the body. Just as you cannot repair an automobile with airplane parts, you cannot heal the body with drugs. In order to heal disease, you need eat the right foods and restore the body chemistry using properly prescribed supplements, such as vitamins, minerals, fatty acids, nutritional co-factors, and amino acids. Using lab testing you can determine nutritional deficiencies, hormone imbalances, metabolic disturbances such as insulin and leptin resistance, digestive imbalances, food allergies, and more. Proper diet is essential to healing the body and it is not the same for everyone. Add exercise and the results are even better. Also, you must consider the impact of stress and the strong influence of the mind and consciousness (both conscious and unconscious) in the healing of illness. Consciousness is difficult to fully define, but for simplicity, it is combination of the way we think and the way we feel our emotions (or don’t feel them). Mindbody research has shown that digestion, blood circulation, immune activity, hormone levels are but a few of the systems controlled by the mind. It has been that way for as long as we have lived on earth. Medications can be reduced and often eliminated as mindbody healing progresses. Drugs are tapered as they are no longer needed and under medical supervision. In the testimonial section you can read about people who have improved their health and reduced the need for medications. Modern medical science has provided remarkable achievements in many areas of healthcare. In the first half of the 20th century, antibiotics transformed the medical landscape by treating life threatening infections such as pneumonia and meningitis. Emergency and critical care doctors represent the best of the “medical model” as they use powerful medications to save lives day after day. Surgeons rely on amazing technology to save lives of trauma patients and those in need of cancer removal and all types of internal repair. However, the future of medicine lies in shifting some of the responsibility for healing back to the patient. People need to know more about diet and nutritional biochemistry. They need to understand how to listen to their bodies and heed the message of illness to change their lifestyle and mind style. In this way they are more likely to heal the disease and become stronger and wiser in the process. In doing so, we shift medical practice from disease treatment to health promotion. Simply taking a symptomatic drug forever does not achieve the purpose of disease, which is healing. 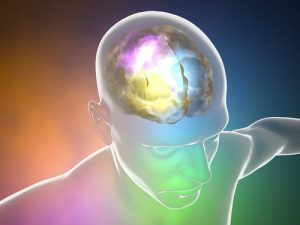 Utilizing the essential oneness of the mind and body to improve health by reducing stress and using a variety of psychobiological therapies, such as counseling, education, improving brain chemistry (neurotransmitters), biofeedback, inner child writing, emotional release, cognitive therapies and much more.